Call us today for a free estimate on air conditioner repair! Nothing is worse than having your heating or cooling system break down in the thick of the winter or summer months! 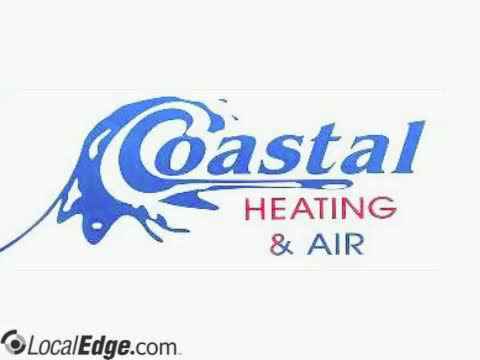 Coastal Heating & Air offers high quality heating and air conditioner repair at an affordable, competitive price. All of our technicians are experts in the HVAC system field and are able to work efficiently to keep you comfortable and save you money in the long run. As a heating contractor, Coastal ensures that your system will be back up and running as fast as possible. We have been proud to serve the Wilmington, NC community with unbeatable prices and fantastic customer service for many years! Call us today if your air conditioner, heating system, or heat pump has broken down! When you are in the Wilmington, NC area dealing with that hot North Carolina sun, just know we are to provide you with air conditioning repair. Sometimes we forget how much it cools down at night or more into the winter seasons. Get peace of mind knowing that we can fix your heat pump as well. Our heating contractors have what it takes to make sure your home stays warm properly. So whether it is hot right now and you need air conditioning repair, or it is cold and you need heat, it is important to stay comfortable in your own home. With our heating and cooling systems, you can be comfortable at your home. Give us a call today if you need us for air conditioning repair, or you need a heating contractor to provide heat pump services! We offer comprehensive HVAC services for clients in Wilmington, NC and the surrounding areas. All our services are affordably priced. Our goal is to provide quality HVAC services in a timely manner and at a price that is within your budget. We do our best to make sure that your home is comfortable by offering services like AC installation, heat pump repair, HVAC maintenance, and more. Get in touch with us today if you need heat pump repair or replacement services. Whether your heat pump needs to be repaired or replaced, we are the experts to trust for quality and timely service. We will never charge you for services you don’t need. If we are able to repair your heat pump, we will not suggest a replacement. If you need to get your heat pump replaced, we can install a new energy-efficient product which will also last longer. If you reside in Wilmington, NC or the surrounding areas, get in touch with us for quality services. Serving the Wilmington, NC community for over 40 years, Coastal Heating & Air provides quality HVAC services. Our expert team of experienced technicians can install or perform maintenance on any heating or cooling system. We know that our customers' time and convenience is valuable to them, so we make sure that each job is finished to completion, and measured against our exemplary standards. Our comprehensive services include air conditioner repair, gas furnace repair, and air heat pump service also known as HVAC (Heating, Ventilation & Air Conditioning) for all brands. We specialize in Oil & Gas Furnace Heating systems, and can tend to any make or model. For over 30 Years, our highly trained heating contractor experts have repaired and maintained the smallest home HVAC systems to the largest commercial air conditioning, refrigeration, gas & oil furnace systems on the market. Trust our team the next time you need air conditioning repair! When you combine our own special pricing, federal tax credits up to $1500 and manufacturer’s rebates up to $1500, you'll realize that it has never been more affordable to upgrade to more effective and energy efficient heating and cooling systems. A new air conditioning system or quality air conditioning repair doesn't have to be expensive. Contact our Heating Contractor Today! We encourage home owners to have their HVAC system serviced at least once a year by a heating contractor, so as to ensure it functions at an optimal level for the coming weather changes. Regular maintenance to your HVAC system will also help your system run more efficiently and save you money on your energy bills. Winter is bad enough without a broken heater! Luckily, we are standing by to help you with heating installation, maintenance, and emergency repairs. You can always count on our team to arrive promptly and restore your equipment. If you are looking for a heating contractor in Wilmington, NC or the surrounding areas, we have you covered. Whether you need to replace the heater in your home or repair the one in your business, contact our heating contractor today. AC emergencies always seem to happen at the most inconvenient times. Let our experienced technicians to provide you with speedy and efficient air conditioner repair. A malfunctioning air conditioner can be problematic during the hot Wilmington summers. You don't need to subject yourself to a stuffy household and hot temperatures any longer! Our warehouse and repair trucks are always full stocked with a variety of air conditioner repair parts, so we will often be able to provide same day service! Our AC repair is inexpensive, efficient, and thorough. Why we are different from other HVAC companies? We understand that time is money. We will never try to take longer on a repair job than we need to in order to rack up a larger bill for you. Your time is valuable, so all of our services are on schedule and executed efficiently. Unlike other heating contractors, we provide emergency services for the Wilmington, NC area. If you ever need a hand in fixing your air flow system, heat pump devices, ducting, or HVAC equipment, give us a call! We are more than happy and willing to lend our quality workmanship and expert knowledge of heating and AC systems to our clients. Why is this important to customers? Our reputation matters to us as a heating contractor and our work is trustworthy. We will update you continually on the progress of your jobs. Once completed you can expect even temperatures throughout your home or business. This will correlate to improved efficiency and lower utility bills. You will have the security of knowing all ductwork has been sealed for increased durability and last longer. Call today for more information on our heat pump and other services! We look forward to assisting you with any of your heating contractor needs! We proudly serve the Wilmington, NC area! 24 emergency service - air conditioning repair, air conditioner sales, central air conditioning, oil furnace repairs, gas furnace repairs, heat pump service, air heat pumps, AC parts, heat pump installation, service repairs, air conditioner service, heating system repair service, heating and cooling system repair.